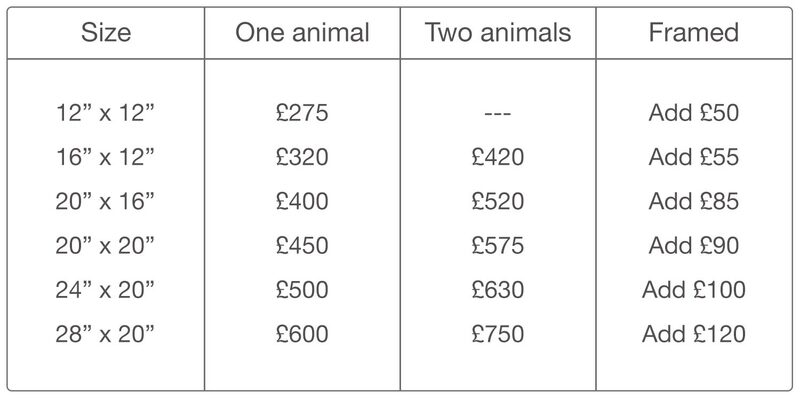 Horses with bridles: Please add 25 per cent owing to the extra time required. If you would like more than two animals in the painting I will be happy to give you a quotation. If you have any questions about my pet portrait prices, please just ask. I’m always happy to have a chat if you’re unsure about anything. Larger sizes are available on request. Please contact me for a quotation.